The Annual Wooden Boat Show started in 1975 along the Morehead City waterfront as the Heritage Boat Show. The event moved to Beaufort at the home of the Hampton Mariners Museum in 1977 and has had plenty of wind in her sails ever since. But, the event was no match for the winds that came in 1985 with Hurricane Gloria. What would have been the 11th annual show in 1985 was cancelled due sustained winds of 74 mph and gusts up to 87 mph. Rescheduled for the spring the following year, the boat show was held on the grounds and nearby waterfront of the newly built and re-named facility The North Carolina Maritime Museum. Today, the Annual Wooden Boat Show, which takes place on Saturday, May 4, 2019 at the North Carolina Maritime Museum and the Harvey W. Smith Watercraft Center in Beaufort, is the longest ongoing wooden boat show in the Southeast. This timeline takes a look back at some of the attractions, performances and antics that have occurred since 1975. 1st ever Traditional Wooden Boat Show is held on the waterfront at Morehead City, North Carolina, twelve boats are featured. The event is originally titled The Heritage Boat Show. 2nd – Two of the stand out boats include a 1936 Core Sounder the Sylvia II owned by Bob and Mary Simpson and the smaller but newer sharpie the Idie belonging to Charles McNeil. 3rd – The show is held in Beaufort, home of the Hampton Mariners Museum, along the waterfront. 4th – Two small craft used in the production of the Television mini-series ‘Roots’ are entered in the show. 7th – Seventy boats in all participate this year. A 52’ Sparkman and Stephens (a yacht building firm in business since their ship Dorade won the 1931 Trans-Atlantic Race) yawl, Sirena, is the largest vessel to be displayed in the show. 8th – The Hornpipe Dancers of Red Springs, North Carolina perform and 81 boats are displayed for the event. A 10’6” lapstrake yacht tender owned by Chris Stickney of Wilson’s Mills, North Carolina wins best in show. A rowing race, now a part of the annual event, is won by Emerson Willard Jr. of Wilmington, North Carolina. He competed in a 16’ dory built at Crown Point Marine in Wilmington. 9th – Held September 24th and 25th a 17’ Whitehall rowboat owned by Allen J. Park Jr. from Statesville, North Carolina wins best in show. What would have been the 11th Annual show is cancelled due to Hurricane Gloria. On September 27th a downgraded Gloria struck the southern portion of Hatteras Island. Buxton, North Carolina reported sustained winds of 74mph and gusts to 87mph while offshore at the Diamond Shoals light wind gusts reached 120mph, much better than the strong Category four it once was. 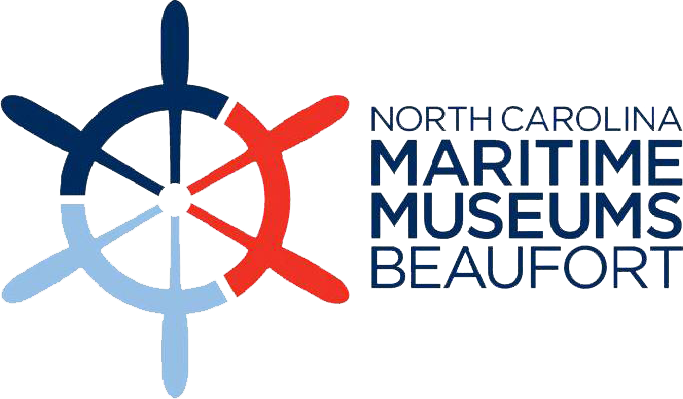 12th – The re-scheduled event is held June 7th and 8th on the grounds and nearby waterfront of the newly built and re-named facility The North Carolina Maritime Museum. A Sunday picnic with watermelon is held on Bird Shoals. John Woltz of Greensboro, North Carolina wins the sailing regatta in a 1952 moth class boat. 15th – A demonstration on building a dug-out canoe, similar to how early Native Americans would have constructed them, takes place outside of the Museum. 17th – Demonstrations by the boatbuilding programs of Pamlico Community College and Cape Fear Community College take place at the event. A 20’ Core Sound sharpie, built by Gary Davis of Harker’s Island and owned by Erik Lie-Nielsen of New Bern, wins best in show. Jim Brown of Bridgeton, North Carolina wins the regatta in his 10’ spindrift dinghy. 20th – Best in show and first in the sailing race goes to Tom Lathrop’s Windmill the Harbinger. 21st – There is a homecoming for a 1982 15’ Whitehall built by the late Master Boatbuilder and Skills Preservation Program Instructor Geoffrey Scofield. Two new events take place during the event, a first ever Traditional Small Craft Association race around Carrot Island and the newly formed Carolina Maritime Model Society displays over two dozen boat models. Also present was Down East decoy carver/historian Roy Willis, giving demonstrations on carving. Best in show goes to a 19’ two mast sharpie the Sharbeau built by Museum staff and volunteers. 22nd – Boats registered in the show come from as far away as New York and Florida. First place in the Taylors Creek race goes to Spindrift owned by Graham Barnes. The Carrot Island race is won by Bill Kwaak in a Rochford class dinghy. 24th – The oldest vessel, a 16’ early 1930’s Chris Craft Fan Fair owned by Raymond Jason of Beaufort, is displayed in the show. A 1962 spritsail skiff, the Ruth II, built by Julian Guthrie participates in the race from Harker’s Island to Beaufort. Best in show is awarded to the Silver Chalice, a ships boat of the replica vessel Elizabeth II, built by Michael Alford and Geoffrey Scofield. 25th – Best in show goes to a Nutshell Pram, the Water Lily, built by Julie Powers of Beaufort in one of the classes offered at the Museum’s Watercraft Center. 28th – Best in show is awarded to Sea Marie, a 1950 16’ lapstrake day sailor owned by Ken Kaiser of Smyrna, North Carolina. The boat was restored by Dave Wilcox of Pelican Yachts in Smyrna. Brent Creelman of Beaufort wins the sailing race in Captain Kelley. 29th – A 1948 17’ Chris Craft, the Dish, owned by William Poole of Raleigh, North Carolina wins best in show. Winners of the spritsail race are the team of Brent Creelman and Mark Stevens. 31st – Special guest Roy Underhill, of the UNC-TV produced show “The Woodwright’s Shop”, speaks at the opening ceremony of this year’s boat show. He also participates in many of the activities offered that weekend. Best in show is awarded to a 28’ sharpie, the Jayne Ellen, owned by Tommy Nicholson of Greensboro, North Carolina. 32nd – Best in show is awarded to a 14’ melonseed skiff built by Brush Creek Yachts of Plymouth, North Carolina. Over the past few years more and more categories to be judged are added to the show, best row, best paddle, best power, best sail and people’s choice are just a few. 34th – A boatbuilding challenge, sponsored by the Mohring Group AV Mill Outlet, coincides with the Maritime Museums Wooden Boat Show. In this National Beaufort Boatbuilding Challenge teams of two must compete to build a 12’ row boat within four hours. Music performances included Molasses Creek of Ocracoke and the 2nd Marine Aircraft Wing Band of Marine Corps Air Station Cherry Point. 35th – Father and son team, Skip and Sharp Kemp, of Morehead City win the 2nd Annual Boatbuilding Challenge. They went on to compete in the National Championship event held in Georgetown, South Carolina. 36th – Best in show is awarded to Cumlative Errors by Syd Chipman of Lenoir, North Carolina. 37th – Heber Guthrie, nephew of locally renowned Harker’s Island boatbuilder Julian Guthrie, demonstrates traditional boatbuilding techniques used in making a 24’ flat bottomed skiff. Traditional Down East working boat models by James Allen Rose of Harker’s Island are put on display in the Museum. Harker’s Island Elementary School students enter a 13’ rowing skiff. A boat by Mason Cox Jr. takes home best in show. The spritsail race is won by Brent Creelman. 38th – Best in show is awarded for the second year in a row to Mason Cox Jr. for Trinoe, an 11’9” boat. Smyrna Elementary School students enter a 15½’ rowing skiff as a school project. Brent Creelman takes first in the spritsail race around Carrot Island.  39th – Some longstanding North Carolina boat builders were represented this year with participants registering a select few and some from the Museum collection as well. The list included; an Albemarle Shad boat (the state boat of North Carolina!) from Roanoke Island, Bob Simpsons always present Core Sounder the Sylvia II, a Carolina custom from Willis Boatworks of Harker’s Island, a 1955 Simmons Sea Skiff from the Cape Fear region, two 1953 vessels from Barbour Boats out of New Bern, a 1965 Harker’s Island Skiff by Rose Brothers restored by Gillikin Boatworks and one of Heber Guthrie’s spritsail skiffs. Best in show is awarded to a 24’4” Ken Hankinson Tahoe run-about, Legend Has It, by Gerald Hurst of Jacksonville, North Carolina. Longstanding champion of the spritsail race is once again Brent Creelman, with teammate Jim Zaradke. 40th – Fifty-two boats are entered in the show; Kevin Leiner’s boat About Time! gets the Captain’s Choice award and Harry and Rita Warren’s boat Le Soleil picks up the Best in Show Award, both boats are restored 18’ Chris Craft classics. There are eleven classes of boats that win awards. Brent Creelman once again swept the sailing races. 42nd – The Spectator’s Choice Award for the Carolina Maritime Model Exposition went to Don Kritsch for his boat Spirit of the Mississippi. The People’s Choice Award went to Gerald Hurst of Jacksonvile, NC, for his boat Legend Has It . . . The Captain’s Choice Award went to Ryan and Kim Gadow of Durham, NC, for their 1940 Chris-Craft Cruiser, Ole Chris. The Best of Show Award went to John Tinney of Wilmington, NC, for his Round Stern Core Sounder, Karen. 43rd – The 43rd Annual Wooden Boat Show was selected as a “Top 20 Event for the Southeast” by the Southeast Tourism Society. 44th – The 44thAnnual Wooden Boat Show was selected as a “Top 20 Event for the Southeast” by the Southeast Tourism Society. 45th – The 45th Annual Wooden Boat Show is scheduled for Saturday, May 4, 2019.